Open from 1 September to 30 April, annually. School/Public Holidays: Open daily 9am - 6pm. In an age where children prefer video games, tablets and TV shows over physical play, Waterworld Strand offers a refreshingly old-fashioned and buzzing outdoor entertainment venue. 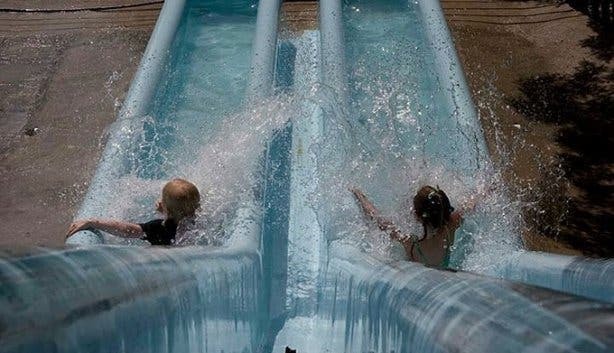 Speed down waterslides, slurp on slushies or tuck into boerie rolls – you can definitely make a day out of it. 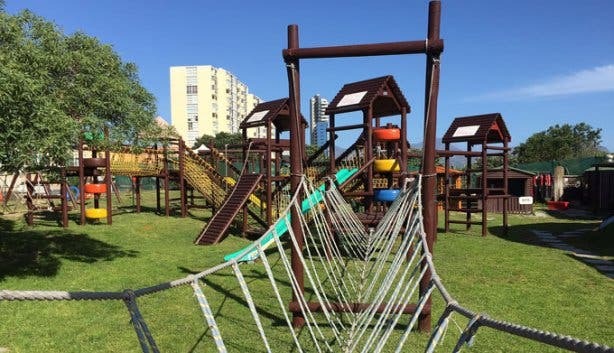 And adults are encouraged to join in the fun too, but they will have to wait their turn just like everyone else. 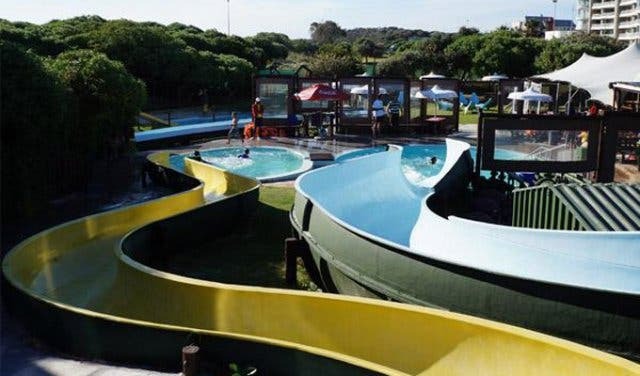 As soon as you walk into this laughter-filled water park, the phrase “good, clean fun” comes to mind, which quite uncoincidentally was the idea behind the play zone created by Carl and Claire Morris, the passionate husband and wife team who own and run the facility. 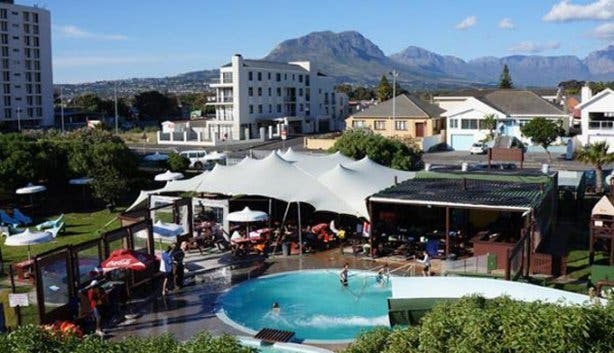 The park – in the picturesque town of Strand, a 35-minute drive from Cape Town – borders one of the most attractive beaches in False Bay. It is tucked away from the prevailing south easter wind. 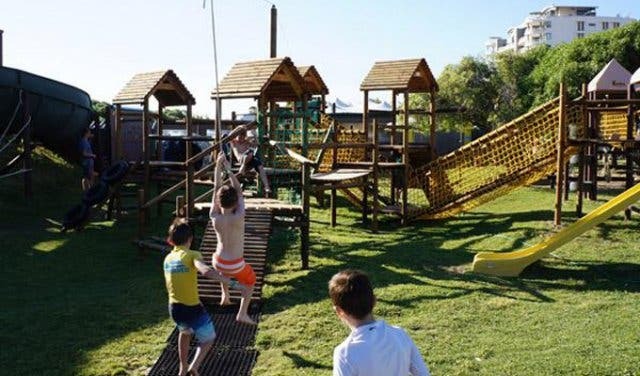 The venue boasts five slides of varying size and thrill levels, an extensive dry play area with a climbing wall and mini zip line – which is, incidentally, Claire’s favourite feature – and an adjoining putt-putt course. The informal outdoor café serves simple yet delicious food, and really good Italian coffee, at wooden picnic tables. Order a Hawaiian pizza, a toasted sandwich or hot chips with vinegar and mayonnaise. The sweet and colourful slushies are a firm favourite among the little ones. Waterworld is also water-wise, with multiple means of saving South Africa’s precious resource. Despite the current water restrictions, the park remains open during the long, dry, hot summers, thanks to a well point and numerous water tanks. Waterworld recycles water wherever possible, while keeping every drop scrupulously clean. Both Carl and Claire are infectiously enthusiastic and friendly – within minutes of our arrival, Carl greeted at least 10 different clients and staff members by name. This warmth and caring is evident everywhere in the park. Wide-eyed twelve-year-olds wait their turn for the stomach-churning vertical slide, while their parents sip on Merkava coffees in the shade of a large canvas tent, just a few metres away Little ones frolic in the solar-heated water of the under-6s’ section of the park, (the big slides are solar-heated, too) while at the other end of the grounds, teenage girls try their hand at the intricate and lengthy obstacle course. Waterworld Strand was built by Carl in 1995; although, he is keen to point out that it is a far more attractive place now than it was then. In the last four years, he and Claire have ploughed lots of time, energy and money into making it a “safe haven for the whole family”. 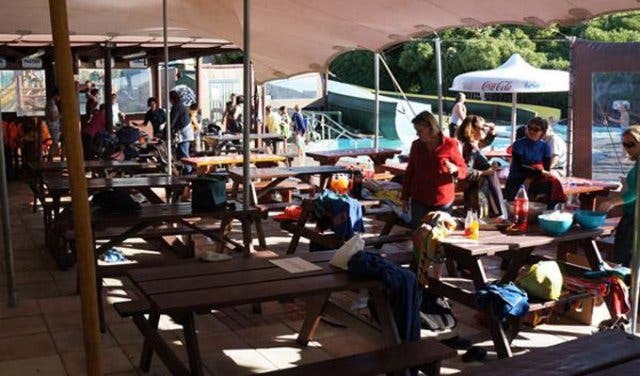 It is the only park that doesn’t allow alcohol, braais or glass bottles, which means everyone who comes here is after one thing and one thing only: wholesome family fun. 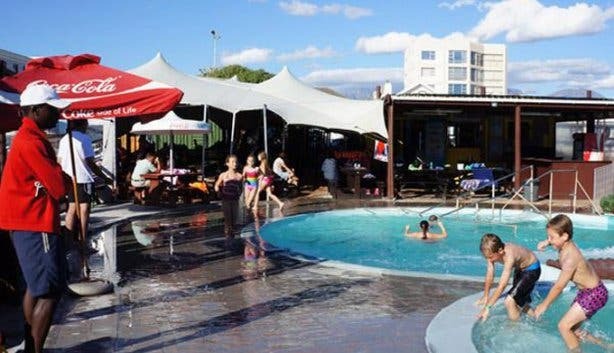 This all adds up to make Waterworld Strand exceptionally popular for children’s birthday parties, especially on Friday afternoons and Saturdays. Even when the park is full to capacity, a sense of calm prevails. 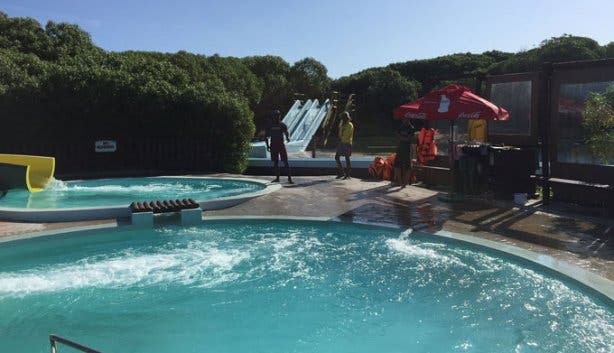 Staff members and a lifeguard (who are all trained in first aid) watch over each section of the park, ensuring that there are no potentially dangerous shenanigans. 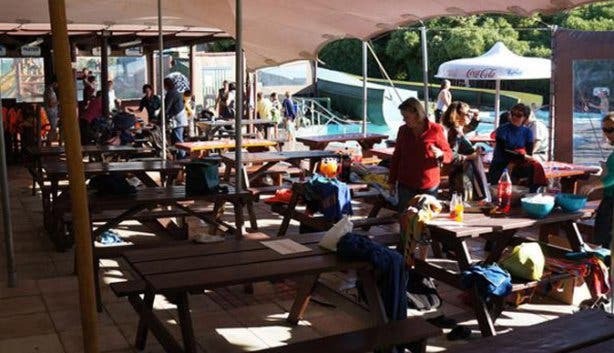 But they’re also quite happy to do the catering for you – the Waterside Cafe sells hot dogs, boerie rolls, pizzas and toasted sandwiches. 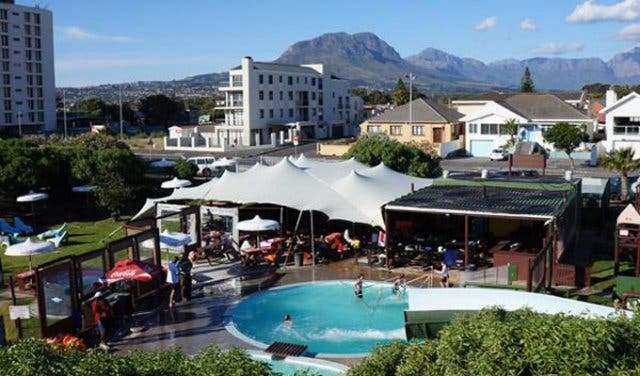 Tip: If you’re booking a birthday party, mention CapeTownMagazine.com and the whole group will get a free round of putt-putt. 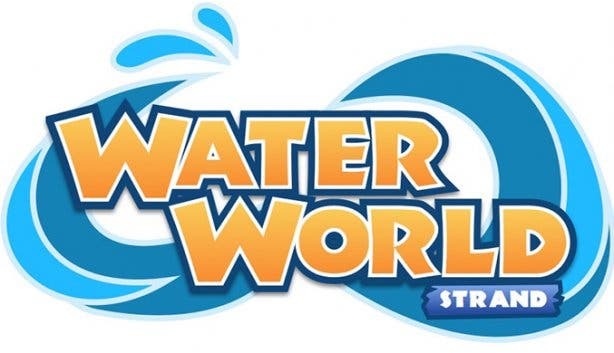 Note: Waterworld is open from September to the end of April. It’s also closed on Christmas day, 25 December 2019. 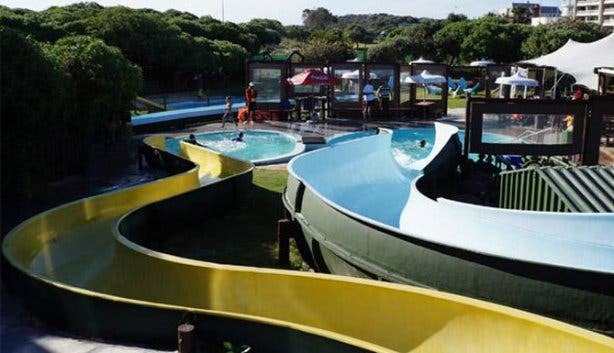 To make a group booking, give them a call them on +27 (0) 21 854 4702, email info@waterslides.co.za, or book online. 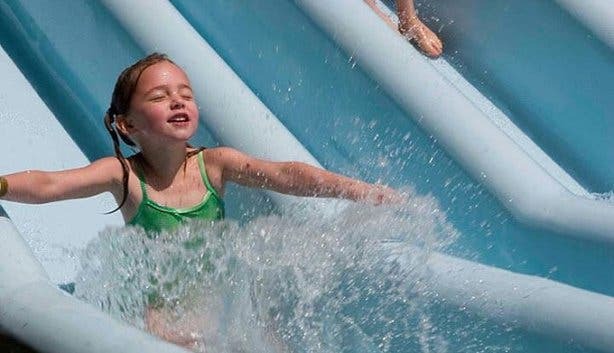 All rates are per person regardless of age and are inclusive of all of the facilities within the Waterworld venue. Children aged 1 and 2 years pay R45pp. Babies under 12 months are not charged. Season tickets are R750pp, with discounted rates when you buy more than one ticket. Note: No alcohol or glass bottles are allowed on the premises. Looking for other things to do with kids or special birthday party places in Cape Town? 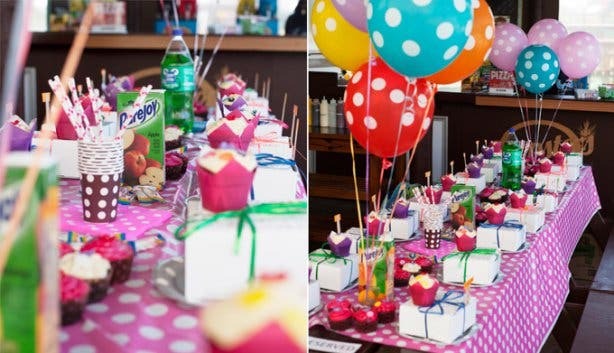 Here are some free and cheap things to do with your kids in Cape Town and free things to do on your birthday. 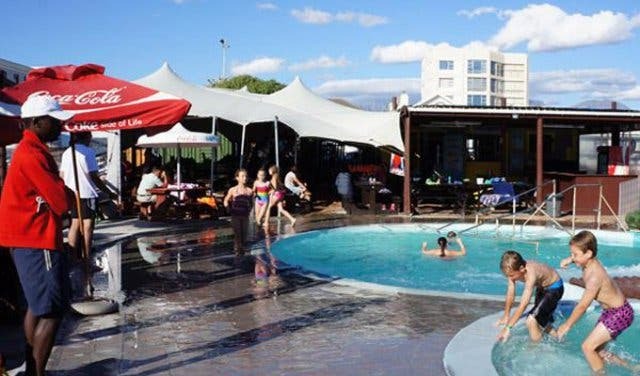 For ideas on what to do in the heat, have a look at our summer bucket list or public swimming pools in Cape Town.